Welcome to the discussion forum. 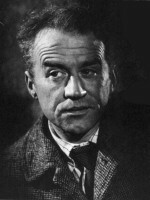 Please post your thoughts about Cyril Cusack and his work. DAY OF THE JACKAL - death of the gunsmith? Re: How did you become a fan?